About 50 travel agents from Ontario had the chance to inspect two of the Palace Resorts properties located in Cancun yesterday: The Sun Palace, a couples only resort of 252 rooms, and The Beach Palace, a 285 rooms resort catered for families located about seven minutes away from the Disco District in Cancun, where all the action takes place. Both complexes offer breathtaking views on the ocean and on a lagoon to the customers. During the visits, Diana Winters, Business Development Manager for Palace Resorts in Ontario, pointed out that it was worth for the travel agents to propose to their clients the rooms with the views on the lagoon instead of those with the ocean views, (though these are still beautiful), because it allows the guests to see the sun that sets on the other side of the properties, not on the ocean. "Customers want to pay extra money to have a room with an ocean view but they don’t know that they have access to this wonderful view on the lagoon, so it’s important that you suggest it to them", she said. "A great thing about the Beach Palace resort is that there is a shuttle that passes every five minutes and that takes the customers downtown Cancun, explained Susette Alvar, sales manager of the property during the visit. This service is available 24 hours a day", she added. Featuring three pools and no less than three Jacuzzis, the Beach Palace is the perfect place for family vacations in Cancun. "What really sets this complex apart is the quality of service and the location", explained Alvar. "The hotel reopened in 2007 after having been destroyed by hurricane Wilma. Everything was completely renovated. It took two years to rebuild everything." The hotel also has four restaurants, where guests don’t need to reserve in advance; just like in the other Palace Resorts properties, these à la carte menus are available to them all day and customers don’t need to book in advance for most of them. For its part, the Sun Palace is the perfect place to relax or to celebrate a honeymoon as it’s a couples only resort. "Guests don’t necessarily have to be couples to come here, but we only have rooms with king size beds, so they have to be willing to share beds", explained Mario Wam, sales manager of the resort. It’s also a great place to celebrate weddings. "What makes us unique is the quality of service", added Wam. 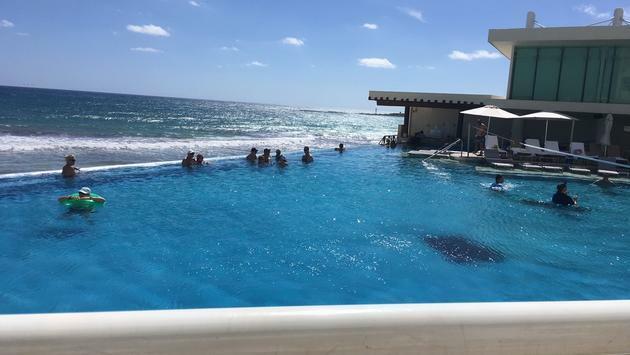 I can tell, for having stayed in one of the Palace Resorts properties in Cancun (The Grand at Moon Palace Cancun) that these are no lies and that the service provided by the Mexican family-owned luxurious brand is absolutely impressive. 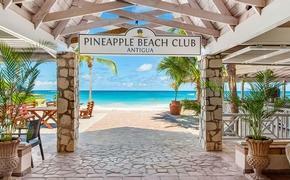 The Sun Palace is also loved by travel agents, cause of its size; "it’s smaller and you don’t have to take a golf cart to go from one place to another ", said travel agent Sheldon Solomon of Travel Only, that was there with his wife, Sherry Solomon, also a travel agent for Travel Only. Stay tuned as more details about this 8-day mega fam trip to Mexico with Palace Resorts will follow on TravelPulse Canada.